Probably the most exciting development in psychopharmacology in years is the discovery of the dramatic effects of ketamine on depression. However, a recent report from the American Psychiatric Association (APA) Task Force on Novel Biomarkers and Treatments highlights not only the reason for the excitement about ketamine but also the significant areas of uncertainty that make it not yet ready to implement on a routine basis in the treatment of patients with depression. 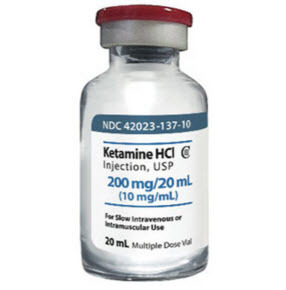 The studies found very significant immediate effects after ketamine infusion. In most of these studies the effects remained significant, although less pronounced, for at least a week after infusion. The results for bipolar depression were less positive but still significant. There are potential adverse effects of ketamine infusion. The studies that reported blood pressure changes all noted a transient significant increase in blood pressure (of from 8 to 18 mm Hg). And ketamine can lead to an increase in dissociation and, perhaps, even transient psychosis. There is not enough data to answer the question of whether repeated ketamine infusion results in sustained responses or leads to a loss of efficacy over time. 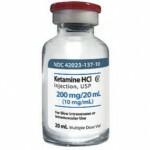 Ketamine infusion is expensive, costing perhaps 1000$ to 1500$ per infusion. So a weekly regimen of ketamine would be roughly 50,000$ per year. As an experimental treatment, it is not covered by insurance. The one study that looked at intranasal administration did not find as robust a response, but intranasal ketamine would obviously be much less expensive and convenient. Our own efforts to make ketamine available for some of our patients with treatment resistant depression have had limited success. After spending the summer negotiating with the only infusion center that we could find that was doing ketamine infusion for the treatment of depression in the Bay Area, we were informed that they would no longer be doing infusions. Meanwhile, our efforts to develop relationships with infusion centers that are doing ketamine infusions for people with chronic pain have not been successful either.